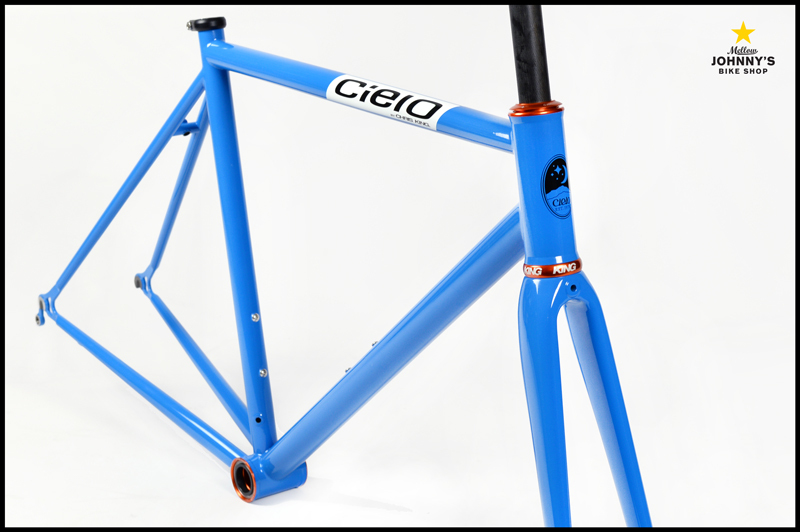 Cielo, the frame manufacturing arm of Chris King, has quietly been turning out some of the best steel frames we've ever seen. Their bikes proves to us that it's still possible to create a performance race bike with soul. 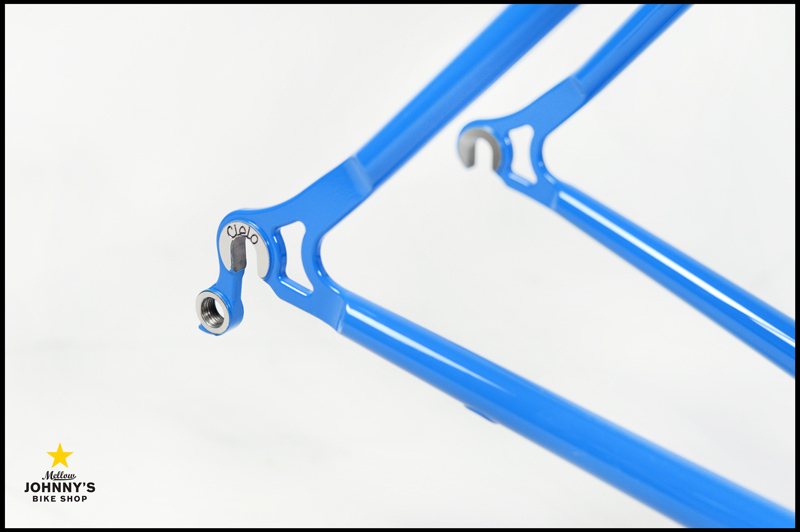 And while most competitive riders turn over their bikes every season or two, Cielo is crafting frames that defy the "race bike as a tool" mentality. These are just too pretty. Our GM has one, and claims it to be one of the best riding bikes he has ever owned. One of our mechanics just ordered one, and has been obsessing about the build. The incomparable Radavist posted a fantastic review on his site, and the Road Racer was voted a top 25 road bike by Men's Journal. 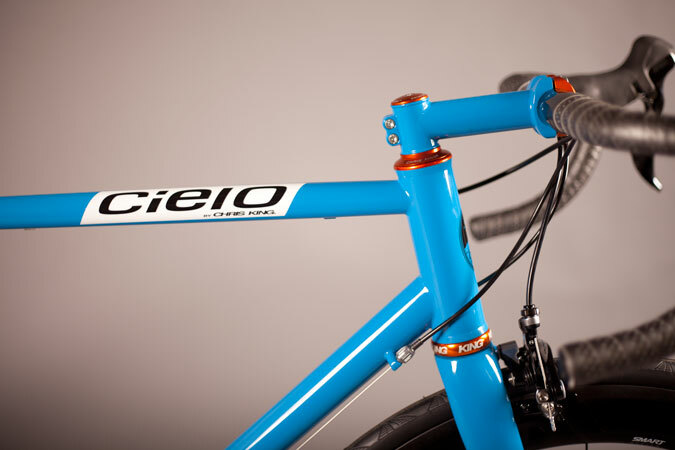 Below are a couple pics of our latest Cielo Road Racer awaiting it's build. 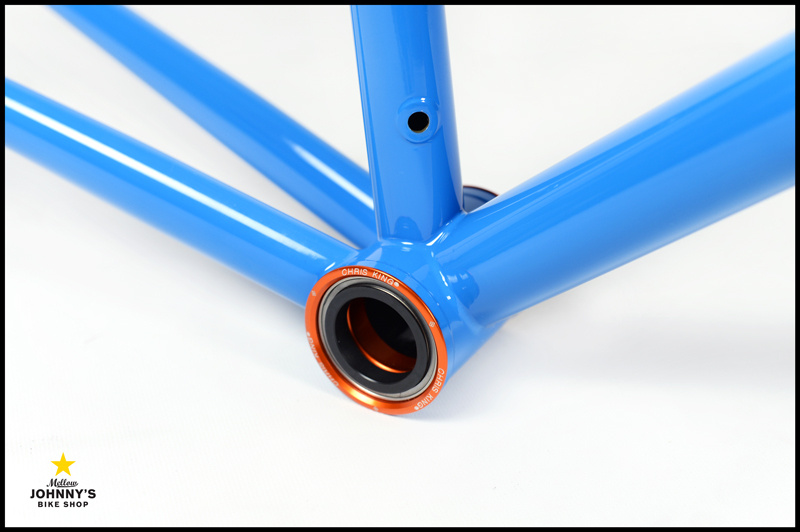 The Azul steel frame is tricked out with mango Chris King bits, and like all Road Racer frames, comes with a paint matched Enve carbon fork. This is a coveted brand, a beautiful bike, and one of the partners that help to make Mellow Johnny's unique. The chartreuse Road Racer pictured above is on the floor for test rides, and we're quite happy to extoll the virtues of these bikes. 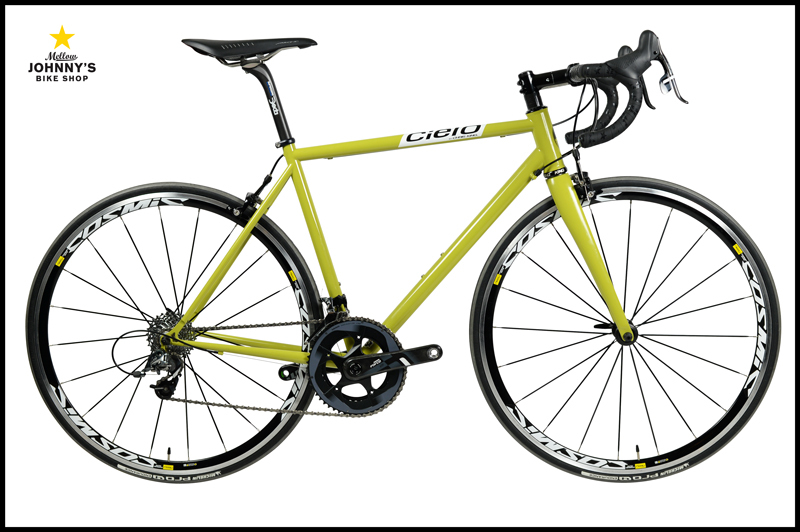 The Cielo Road Racer is a bike that even jaded shop employees get excited about.